Contrary to popular belief, it’s not impossible or even difficult to be a vegetarian in Mexico (especially if you follow these tips and tricks). I’ve been living in Mexico and traveling throughout the country for three years now, and living two decades as a vegetarian, so I wasn’t too worried about finding food on my trip to Merida with three girlfriends. Still, it can sometimes be a bit tricky to balance different dietary needs and culinary desires on a group trip, especially as the solo vegetarian. 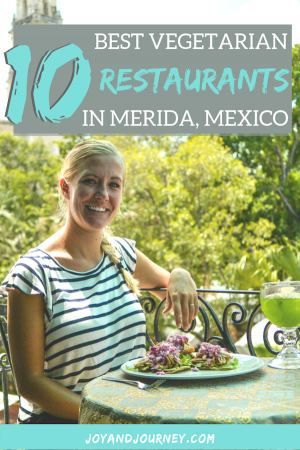 I always try to do research in advance to come up with a variety of vegetarian-friendly yet omnivore-approved restaurants whenever I’m not traveling solo, and couldn’t find much on the web about Merida’s vegetarian offerings. 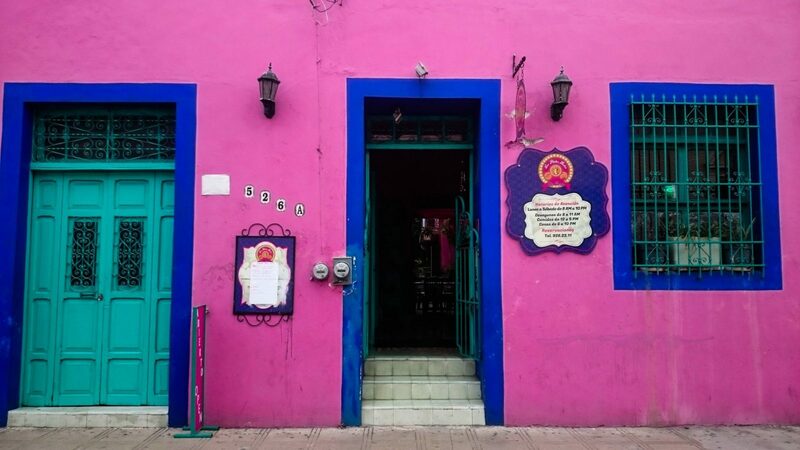 Upon arrival, I was pleasantly surprised to find that Merida offers a wide variety of vegetarian and vegetarian-friendly restaurants throughout the city at a range of price points and styles. Aside from one or two flops, most restaurants and stalls could whip up a tasty vegetarian meal, no problem, though some were more delicious than others. These top 10 (plus one cantina!) 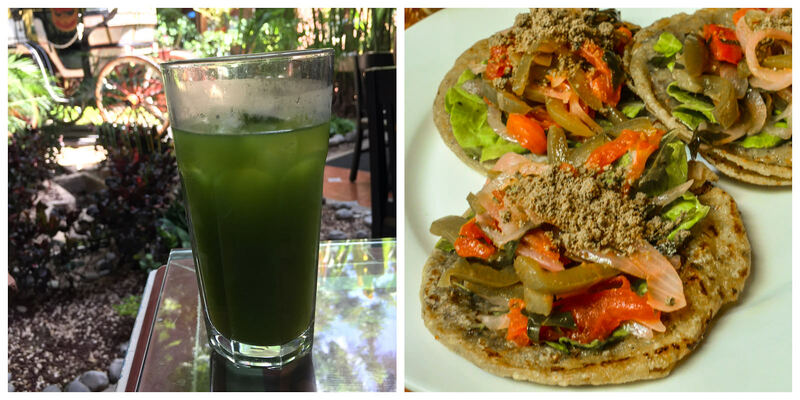 are just my absolute favorites for vegetarian food in Merida: let me know what you think! They’re all vegetarian AND omnivore-approved. Provecho, my vegetarian friends, and the omnivores who love us <3 ! 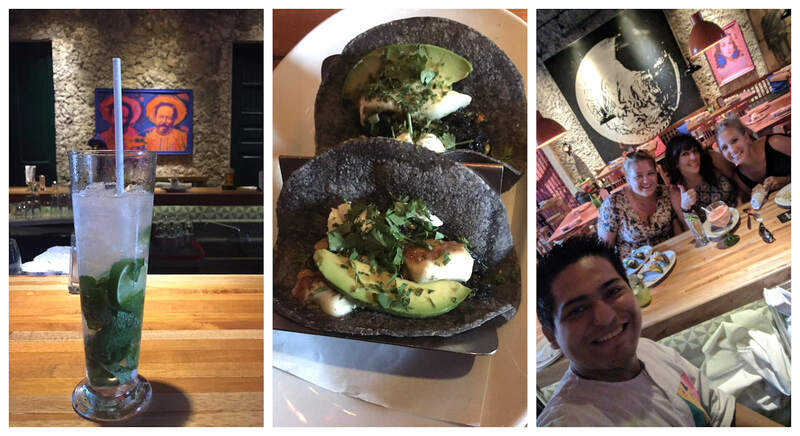 My favorite restaurant of the trip; I even had the huitlacoche tacos twice. Don’t miss 2 for 1 drinks from 5-9pm (only at the bar, where you can also eat). This cute spot has a chef from Israel and an extensive menu of Israeli, Mexican, and Mex/Israeli options. The shakshuka was awesome and they’ve got the best pita I’ve had outside of Israel. It seems like the ONLY place open this early for breakfast around Centro. Lots of options and quite inexpensive. If you plan on sitting in the garden, be sure to wear bug spray. The veggie-filled eggs were perfect for breakfast, and I appreciated the free cold water, really cute atmosphere, and strong wifi. The latte I ordered was perfect: great coffee and a variety of milk alternatives (I went with the house-made almond). 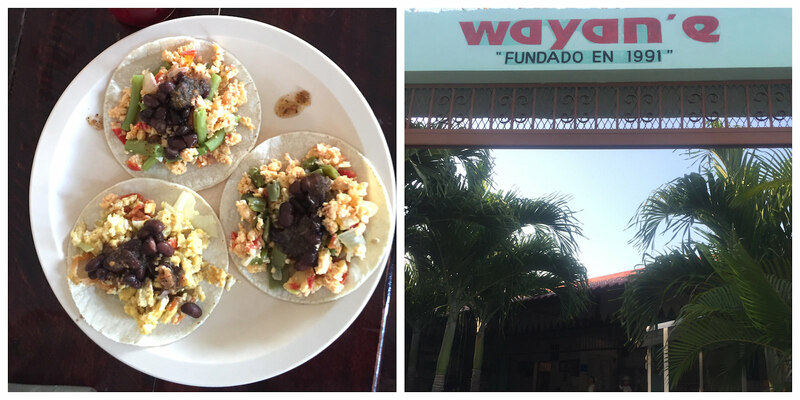 They’ve got a ton of vegetarian and vegan breakfast and lunch options, and run a set-menu lunch special for 60 pesos. Note: Organico Cafe is NOT the same as Cafe Organico. Hotel Mansion Merida is THE place to put on your Sunday best and enjoy a fancy schmancy brunch. For whatever reason, the indoor courtyard was empty when we had breakfast, so we also had our own little impromptu photo shoot. Yes, Chaya Maya is a bit touristy and put-on (like the dressed-up waitresses), but it’s a tourist favorite for a reason: there’s a huge menu (including tons of vegetarian options) and each dish is reliably delicious. Get the signature Chaya drink! Tacos start at just 13 pesos each! The ingredients are fresh and filling, and there are quite a few vegetarian options. There are a couple Casa de Mi Tias in Merida. The one I recommend doesn’t have a website (currently). It’s a cute place with second-story viewing for the perfect perspective of the main square. A variety of ceviche choices, including vegetarian. Be sure to double check which of the appetizers are vegetarian even if you order a vegetarian entree (don’t just say vegetarian: ask if there is “pescado” or “marisco” in it). Fresh and flavorful food that even non-vegans will love! Very inexpensive with regular 2 for 1 deals (when we were there it was 2 for 1 margaritas). The musical acts tend to be SO LOUD, so try to get a table away from the stage or, better yet, in the courtyard (but slather on that bug spray). Avoid the burgers and stick with Mexican fare – the veggie burger takes the cake as the worst meal of my life.